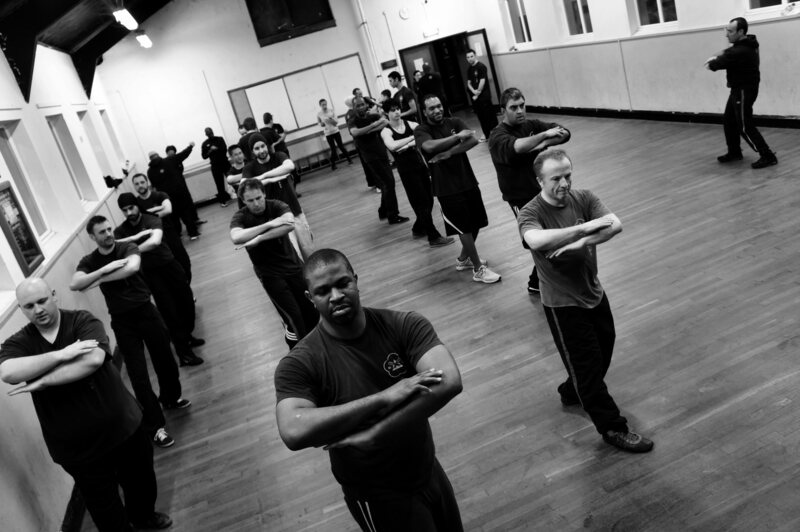 What is Wing Chun Kuen? 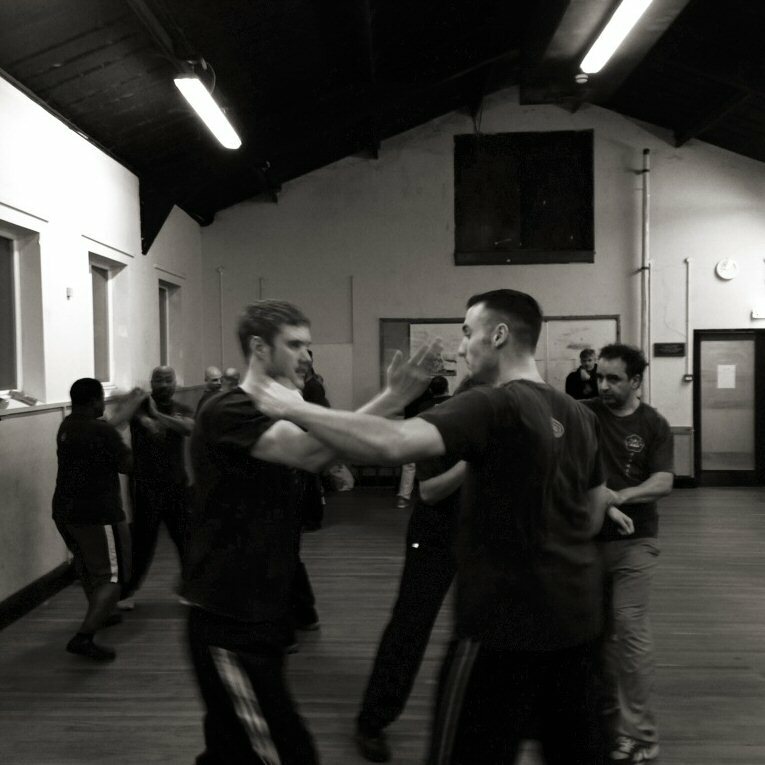 All newcomers are welcomed into a non-members group for a compulsory 16 lesson introductory course; during this introductory course students are taught the basics of Wing Chun, whilst encouraged to watch the main class train. There is no uniform or formal training clothing required at this stage; training or jogging trousers, a plain t-shirt/sweatshirt and training shoes are all that is necessary. Lessons are paid for in blocks of 4 lessons (£30.00) and member to member insurance is provided to cover the 16 lessons. 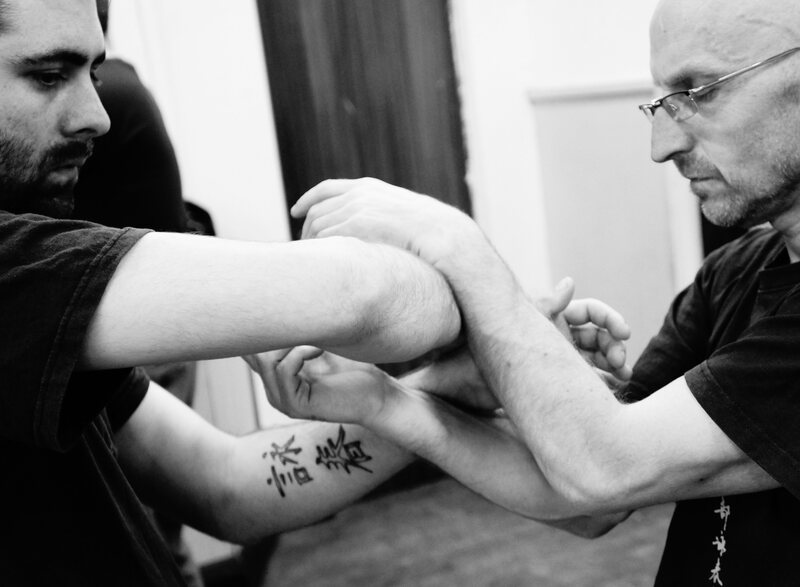 The 16 lesson introductory period allows potential students learn the basic Wing Chun skills, whilst observing typical classes and giving ample opportunity to ask questions about all and any aspects of the Wing Chun system. At the end of the introductory course non members can decide whether they wish to apply to join the Association and continue their studies; should they wish to apply to join they must complete an acceptance assessment covering the basics they have been taught. 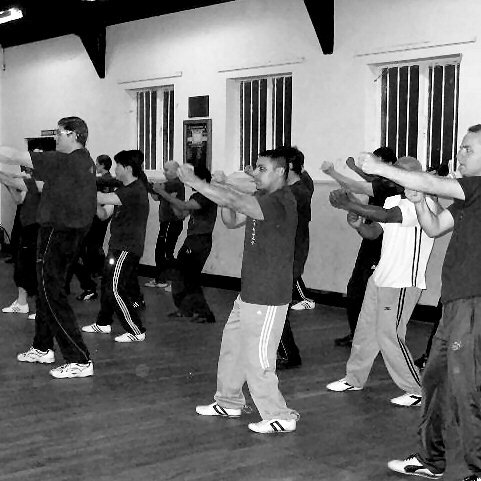 During that same 16 lesson introductory period however, each potential student is the subject of a psychological and physical assessment by the Sifu (teacher) and his instructors, who listen to the non-members questions, review their attendances and punctuality, note their respect (or lack of it) and assess their attitude and suitability to training within the Midlands Wing Chun Kuen. At the end of the introductory course the Sifu will decide whether to invite and accept the applicant as a member, student and ambassador to the school and Association. 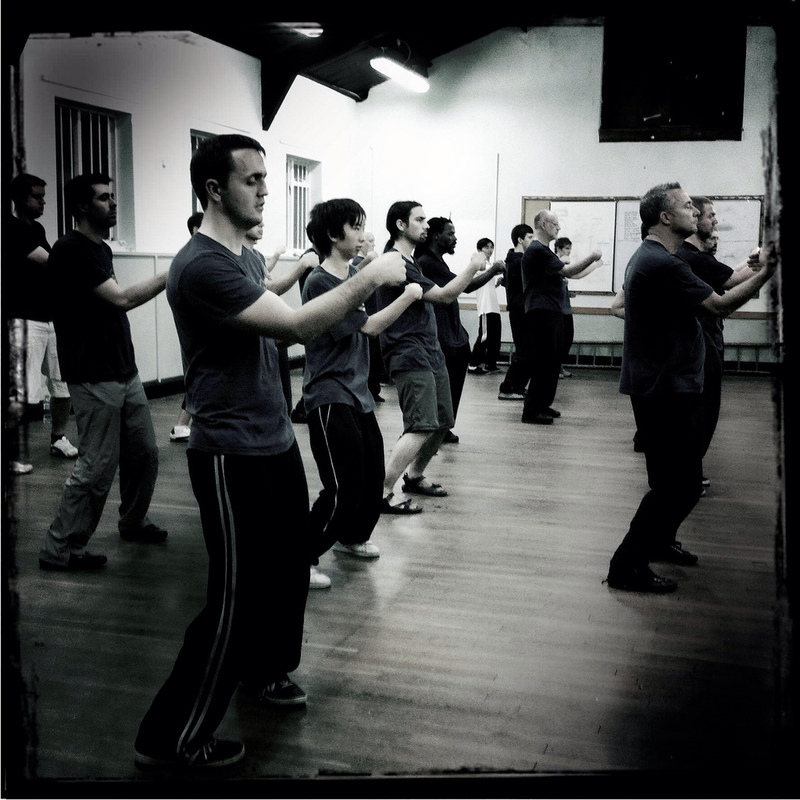 "We teach by selection and invitation only, we offer authentic Hong Kong Wing Chun taught in the traditional manner. We set and expect the highest standards, teaching only respectful, disciplined and dedicated martial artists, who train hard with the correct mental attitude"
The solo repetitive practice and performance of preset fixed sequence of movements that teach and refine specific concepts, principles and techniques. There are no direct applications of the movements of the forms but they do allow the practitioner to strive for perfect positioning, and the closer the positions when practicing solo, the better they will be when applying them on an opponent. The constant repetition of individual techniques or sequences, either solo or preferably with a training partner, will build up confidence and understanding of the position, structure and energy usage of each technique. "There is no substitute for mileage"
Unlike most martial arts, in traditional Wing Chun there is no sparring (this is because sparring involves two martial artists possibly of the same style trying to out guess and out manoeuvre each other under a semi-controlled, rule governed environment, which does not happen in the street). 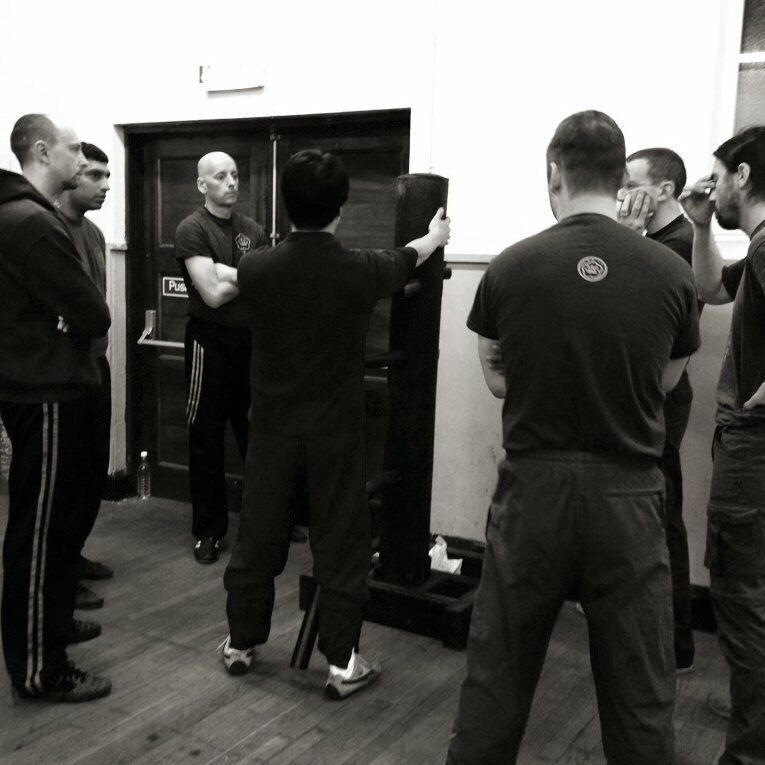 In Wing Chun we practice 'one attack-one defend' training. 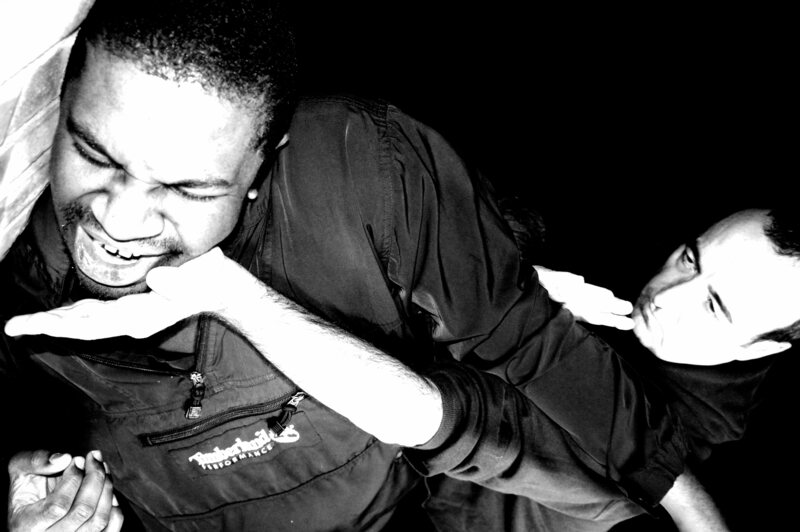 This is when one partner will attack using any street-practical techniques, whilst the other employs his Wing Chun to dissolve that attack whilst simultaneously counter attacking. Fighting application teaches you to apply the techniques you have positionally refined in the forms and structurally developed through drilling. The 2nd stage is to safely bridge the gap and make contact defensively whilst simultaneously counter attacking. 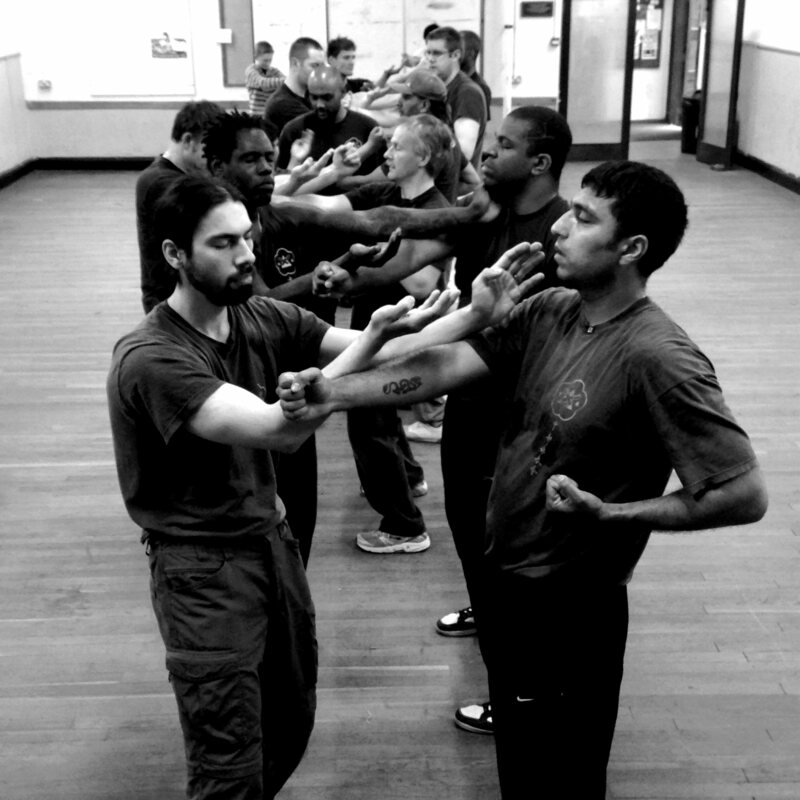 Wing Chun's Chi Sao (Sticking hands) is a unique interactive training method that develops structural awareness, correct energy utilization, distance judgement and sensitivity so that you can learn to feel what is happening, assess the situation and react accordingly. It develops close range distance coordination, mobility, balance, timing, accuracy and the correct use of energy. Chi Sao is often likened to a game of chess in that it is about strategy, skill and the ability to assess and constantly reassess the on going situation, only in Chi Sao you monitor the proceedings through arm contact. The 4th stage is to remain in control of the situation until you decide it is safe to change range and disengage contact.